Featuring great dogs and professional photography! Etsy is one of my favorite places for gift ideas. 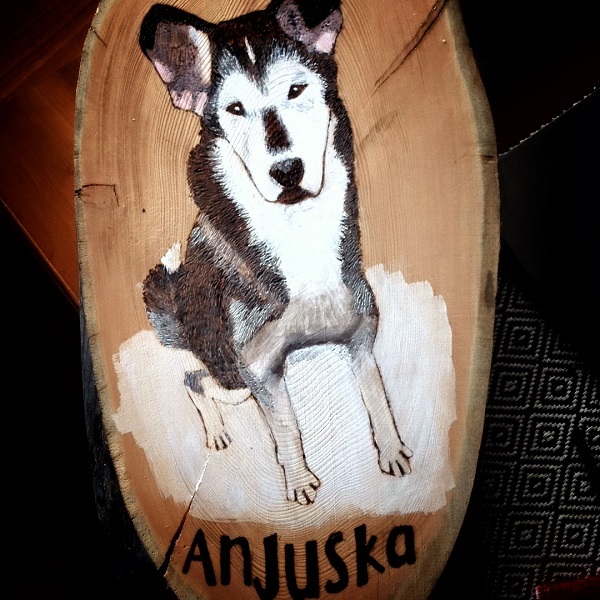 I love discovering unique handmade items, such as these portraits from artist Eline Niemi who runs the Etsy shop Tundrada. 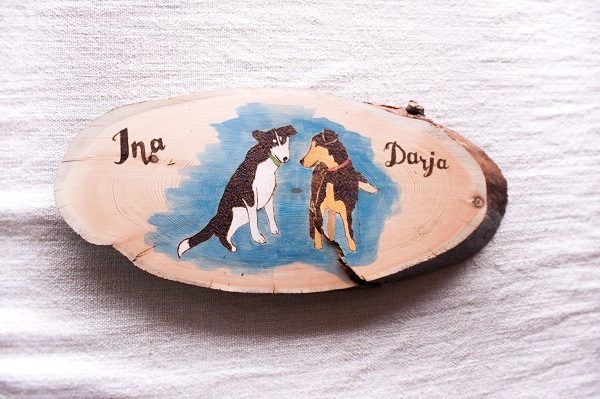 She makes gorgeous custom pet portraits with a wood burner and a pine slab. Eline then adds acrylic paint to bring the pictures to life. Eline consults with the client several times during the portrait process to make sure he or she is happy with final product. 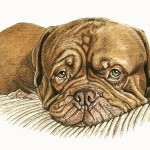 There is still time to place an order and have a custom pet portrait delivered for the holidays. You probably recognize Envy and Zain from Kelly Bove’s Instagram feed. If you aren’t already following these two Border Collies, you might want to! 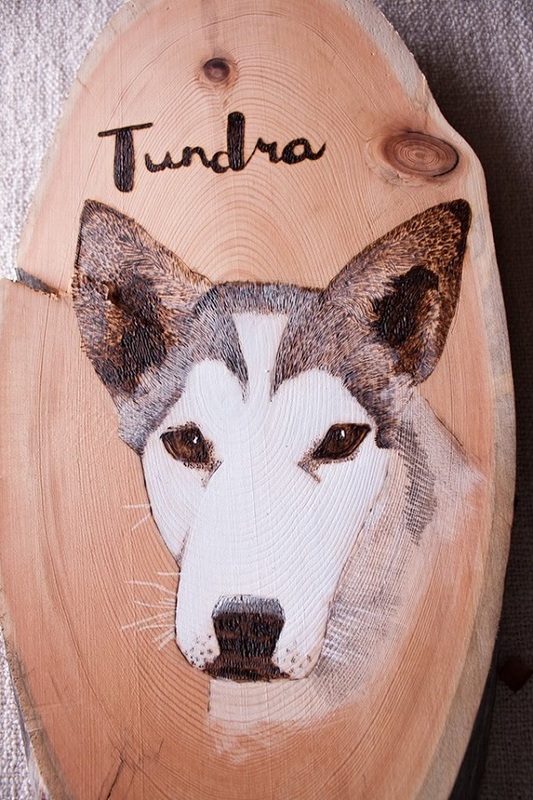 Follow Tundrada on Instagram to see more of her creations. Eline lives in Lapland, Finnland and uses items she finds in nature as the primary materials for her crafts. 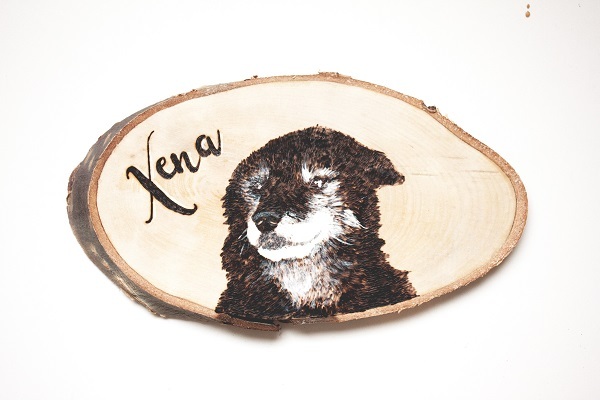 In addition to pet portraits, Eline makes jewelry and also sells antlers for dog chew toys. Like This Article? Get More Like This In Your Inbox! Oh these are really COOL! 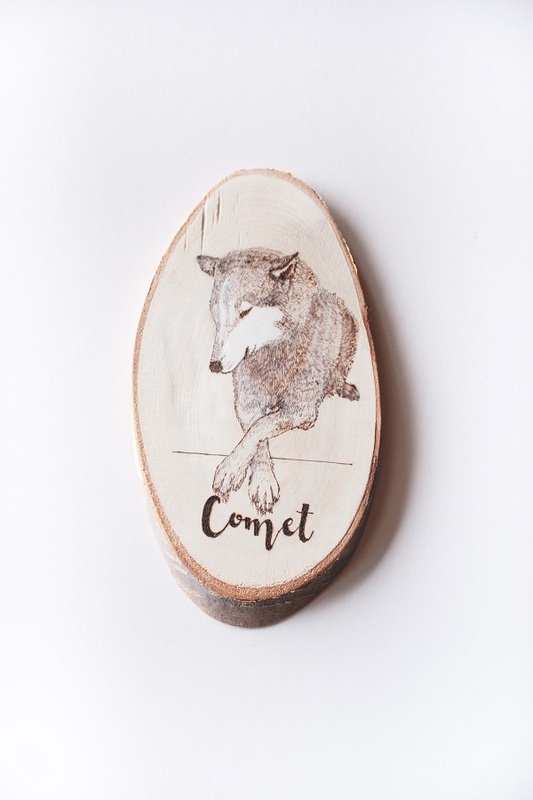 I’m a big fan of supporting handmade artisans and those are gorgeous works of art. I can’t believe that I’ve never checked it out yet. Gonna have to visit one of these days. Wow – these are simply beautiful, what a talent! 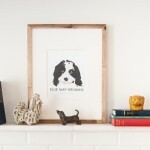 I will definitely check her out, we love pet-based artisan work! Wow! Those are really amazing and so special. 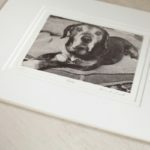 What a great gift idea or way to memorialize a pet. Thanks for sharing. These are beautiful. We love supporting Etsy artists. I love these paintings… so beautiful! These are so gorgeous, how nice to see something other than a photograph pinned to a wall or noticebroad. This is something a family will treasure. Such beautiful portraits. Thank you for letting us know about Eline Niemi’s work. I love learning about the origin of the name Tundrada. I’ll be sure and let others know about Eline’s gorgeous portraits. Thank you so much for sharing! These are beautiful. 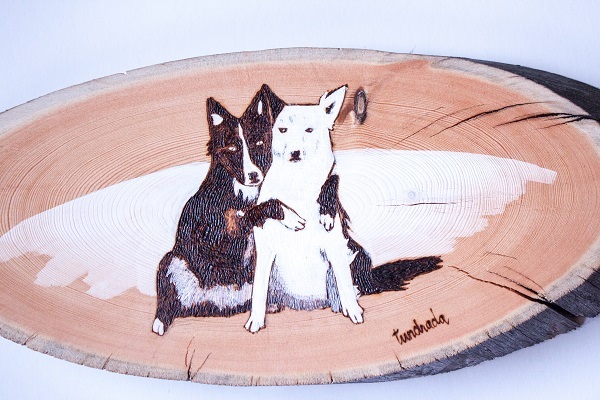 I love how the natural grain of the wood compliments the texture of the dog’s hair. These are beautiful. I need to check them out. These are gorgeous! Such a great gift idea! Omdomdomd!!! How cool is this! Holy cow! It takes a lot of time, talent and patience to make pieces like this! Thanks so much for sharing. I try to shop local or at least small business for the holiday season so I’ll be sure to keep this Etsy shop in mind! REALLY COOL GIFTS!. Absolutely vote for it. 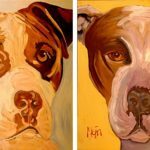 The dogs portraits look subtle and real. Our Latest – Right In Your Inbox!